Founded in 1974, Efaflex was the first company to exclusively manufacture high-speed doors. With a HQ in Buckberg, Bavaria, they are now a recognized global player with a worldwide sales network in more than 50 countries, across all 5 continents. Efaflex believe that it is their unrivalled level of in-house R&D that has given them the technological edge over the competition enabling them to develop and deliver revolutionary door systems to the industrial sector. The world's fastest door is made by EFAFLEX. The EFA-STRÂ® is a combination of the spiral-shaped door guidance and flexible door blade. It achieves an opening speed of up to 4m/s. Long service life Designed for being used frequently, design characteristics such as the patented spiral technology or the weight balance provide for a long service life. 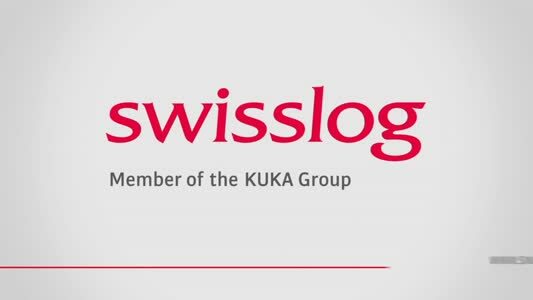 Profitability High opening speeds minimise the waiting time in front of the doors and thus accelerate logistic processes; improving efficiency. Technological edge More than 30 years of experience gained through continuous improvements & product development have firmly established EFAFLEX as the leading manufacturer of high-speed doors. Energy efficiency With the EFA-SSTÂ®, EFAFLEX offers the first and only high-speed door worldwide which is equipped as standard with thermally separated insulation laths. Thus, insulation values of up to 0.66 W/m2K can be achieved - depending on the size of the door. Safety With the door line light grid EFATLG Â® and the laser scanner EFASCAN Â®, EFAFLEX offers two unique safety devices for doors. Customer service From production to installation and service, all EFAFLEX employees are extremely well trained. 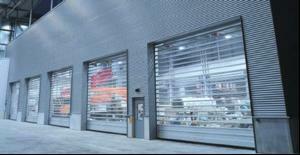 Loading bay doors - is the investment worth it?